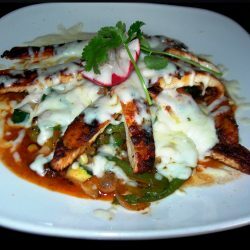 Grilled breast chicken on a bed of sauteed vegetables covered with melted cheese. 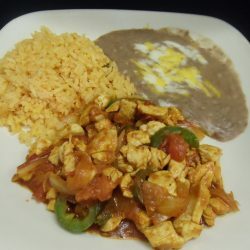 Grilled chicken breast sauteed with tomatoes, jalapeno peppers, and onions. 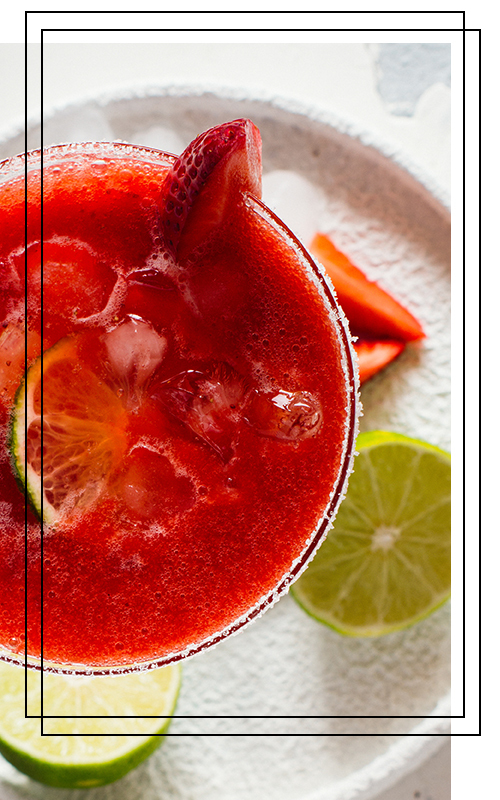 Topped with salsa ranchera. Served with mexican rice & refried beans. 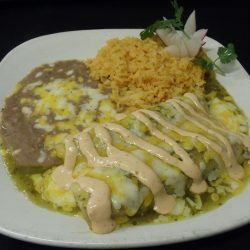 Corn tortillas filled with carnitas topped with cheese, salsa verde, and chipotle sauce. Served with mexican rice & refried beans. 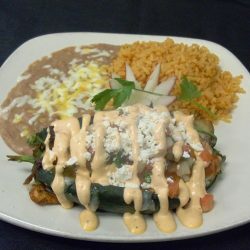 Chile relleno filled with grilled chicken and sauteed vegetables. Topped with cheese and chipotle sauce. Served with rice & beans.